Presentation Description & Goals: “Involving the community and engaging parents in the education of their children is critical for the successful implementation of any intervention associated with closing the achievement gap.” Through courageous conversations and thought provoking questions, this workshop will dive deep into the heart of what is “family engagement” and how to build “authentic partnerships.” Participants will also discuss ways to create more of a positive school climate and culture by exploring ways to build capacity with staff and the parent community. 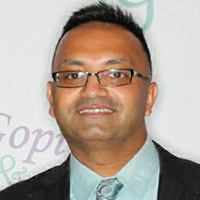 Biography: Neel Desai is currently the Director of Community Education for the South Brunswick School District. In this role, Mr. Desai serves the diverse needs of his community. He oversees the planning and implementation of various parent workshops that connects the mission of the school district with the needs of the community. Prior to this role, he served as a Principal of an elementary school and as a classroom teacher at the elementary level. Bonnie Capes is currently the Principal of Crossroads Middle School in South Brunswick, NJ. 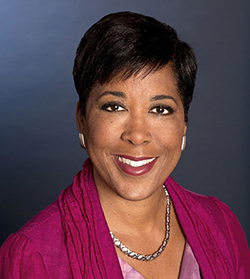 Prior to this, she served as a Principal of an elementary school and was also the Director of Professional Development. Bonnie prides herself in creating a positive climate and culture in her school. Alignment with the mission of NJAFPA: The information in the workshops will help promote equity and excellence of all students by diving into ways we can engage parents. Presentation Description & Goals: Are your students able to monitor their academic progress and take charge of their learning? As educators, our goal is to help students view learning as a controllable process and accept greater responsibility for their achievement outcomes. In this session, school and district leaders will learn how to bolster teacher’s capacity to foster self-regulated learning (SRL). Effective strategies will be shared on how to leverage walkthroughs and observations to develop a keener eye for citing evidence of SRL and how to use this evidence to improve teaching and learning. Participants will walk away with ready-to-use tools and resources to provide meaningful and actionable feedback to teachers for creating a community of self-regulated learners. and skills, and a creative and innovative flair. 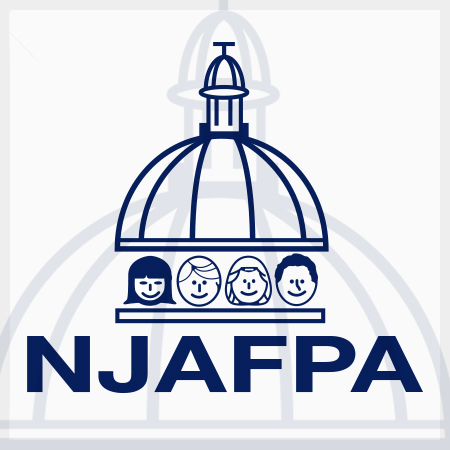 Alignment with the mission of NJAFPA: As with the NJAFPA mission, this workshop will provide relevant professional development to enhance the work of all educators. Presentation Description & Goals: Suspension…what else can we do? More and more administrators and teachers are finding that in-school and out-of-school suspensions are ineffective in addressing the root cause of factors that lead to insubordinate and challenging behaviors. Teachers and principals are always looking for innovative practices that truly work to address discipline issues in classrooms and schools. In this session, learn several approaches and techniques that can be easily implemented and require minimal resources. We’ll review some of the most common discipline infractions K-12 and the effective methods to address them. 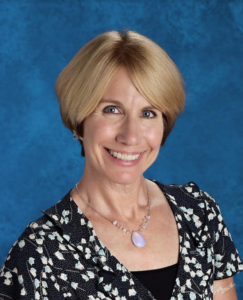 Biography: Sylvia Zircher is currently serving as Superintendent of Schools in South River Township, Middlesex County, NJ. She has prior experience as a principal and director of curriculum and instruction. She truly appreciates the opportunity to shape a district’s vision and plan strategically. 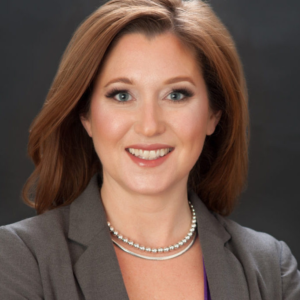 Ms. Zircher offers a strong background in K-12 educational administration and has used varied leadership skills along her path towards superintendent. In her various roles, she’s developed firsthand experience in the approaches that lead to success. 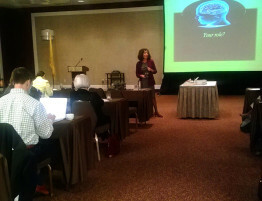 She has presented at various NJ and national conferences, and published in several magazines and journals. Ms. Zircher is currently finalizing a dissertation research project, on the topic of explicit instruction in career exploration at the middle school level. In her free time, she enjoys spending time with her family and friends! Alignment with the mission of NJAFPA: This session will support educators in ensuring equity and excellence in all academic programs. Presentation Description & Goals: Participants will learn how to develop an innovative program which prepares incoming Kindergarten students for what might be their first school experience and bridge gaps in preparedness. Alignment with the mission of NJAFPA: Closing the achievement gap. Presentation Description & Goals: Participants will be provided with real life application of techniques that have been used to improve student achievement; Using PLCs for parent engagement, release of responsibility within the instructional model, the importance of an aligned curriculum, using targeted assistance to improve student outcomes, the importance of teacher leadership teams in curriculum decisions and improving student outcomes through better differentiation. practical strategies that school leaders can use to improve student achievement. Presentation Description & Goals: Empowering teachers to foster making in the STEAM classroom can lead to exciting and community-rich student projects and experiences. In order to create effective learning environments for student Makers, teachers would benefit from building “confidence in”, “pedagogical content knowledge of” and “identify as” Makers themselves. This workshop will explore innovative techniques and tools to prepare elementary, middle and high school teachers as Makers. Biography: Chris Anderson is an educational consultant, public speaker, grant writer, and adjunct professor specializing in Integrative STEM (ISTEM) education, PK-16+, at The College of New Jersey and its Center for Excellence in STEM Education. A list of his recent clients includes Cherokee County School District in Georgia, Millburn, Chatham and Edison School Districts in New Jersey; The Educational Testing Service, Nickelodeon, McGraw Hill Publishers, Samuel Adams, and The Discovery Channel. Chris earned his master’s degree in educational leadership at The University of Pennsylvania in 2007, and served as president of the New Jersey Technology and Engineering Educator Association (NJTEEA) from 2008-2011. Chris spent 10 years in the classroom teaching in a 7th-12th grade Technology and Engineering education program, where he also advised a TSA (Technology Student Association) chapter. Chris’ professional interests revolve around STEM education reform – especially the introduction of engineering as a new core discipline and related cross-cutting concepts and practices in the Next Generation Science Standards – and their implications for millions of PK-16+ students, educators and pre-service teachers in training. Chris understands the critical need for educator professional development emphasizing the emerging role of design-based pedagogical approaches (such as the engineering design process, or problem solving loop) as part of experiential education. Presentation Description & Goals: In this session learn how to grow your AP Science and Calculus course offerings, student participation and student outcomes through an interdisciplinary approach, that raises student achievement, reduce social inequities, improve college readiness, improve post secondary participation and improve 5-year college graduation rates in your school and district. Biography: MS Mathematics and Science Teacher, HS Biology and Physics Teacher, Science & Math Supervisors, Director of Curriculum, Federal Programs and Special Services Coordinator, Principal, Chief School Administrator – Currently Program Manager for New Jersey Center for Teaching and Learning. 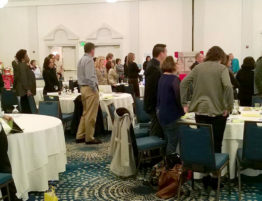 Alignment with the mission of NJAFPA: Growing your AP program from the preparation, offerings, and participation promotes equity and excellence for all students. Presentation Description & Goals: This session will provide attendees with information and tools to implement arts opportunities and extra-curricular programming in their schools, funded with Title I funding. The presentation will begin with information based on my own research in self-efficacy and sense of belonging and how these two concepts are linked to arts programming and extra-curricular opportunities. When students have experiences and communities that support creativity, collaboration, and community, they report greater sense of belonging, self-efficacy, and become more engaged in the school environment. When we want our students to succeed, we must provide opportunities where they can creatively collaborate with others toward shared goals. Often, these skills culminate in artistic environments. We can use these programs to provide greater educational opportunities for our students. Next, we will explore specific cases where school districts have implemented programs using Title I funding that were creative, arts-based, and even non-traditional. Finally, we will work as a collaborative group to brainstorm, share, and further discuss the possibilities in our own districts as they relate personally to each attendee. This portion of the presentation will provide learning and teaching opportunities from and for all attendees, encouraging all members of the group to put new information into practice. The goal is for all attendees to leave the presentation with new information and a spark to think about how they use Title I funding in new, meaningful ways. Biography: Rebekah Sterlacci serves as the Supervisor of Visual and Performing Arts in the Piscataway Township School District. In Piscataway, Rebekah supervises and supports arts programming and curriculum (music, visual art, dance, and theater) for the ten schools in the district. Previously, Rebekah taught vocal music and directed the drama program at Schor Middle School in Piscataway for eleven years. Additionally, Rebekah is the artistic director of the Rutgers Children’s Choir at Mason Gross School of the Arts at Rutgers University and is proud to be celebrating her tenth year with the group. The Rutgers Children’s Choir is a community choir serving area students in grades K-12 while also providing mentorship and educational opportunities for undergraduate music education majors at Mason Gross School of the Arts. Rebekah holds a Bachelor of Music Education and an Masters of Music Education from the Mason Gross School of the Arts at Rutgers University, and is currently pursuing her Ed. D. in Educational Leadership at Rowan University. 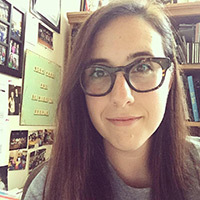 Rebekah is passionate about research in the areas of arts integration/creative education, student-led learning, self-efficacy and sense of belonging as they are connected to arts programming at the middle level, and the arts’ impact on issues of social justice. In 2012, Rebekah was awarded the Teachers Who Make Magic Award and the NJ Governor’s Teacher Recognition Award. Rebekah has been called on to present at educational and music conferences, review arts grants in Middlesex County, and initiate partnerships between schools and the greater community. Rebekah resides in Somerset, NJ with her husband Jason, a fourth grade teacher in Union, NJ, and her 4 year-old son Jonas. 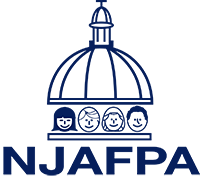 Alignment with the mission of NJAFPA: This session will provide innovative ideas and suggestions to improve student success academically, emotionally, and socially in schools, using funds to reach students in new, creative ways. Presentation Description & Goals: During this highly interactive session, leaders will learn how to use data to meet the requirements of ESSA and optimize outcomes for students served by Title funds. Specific goals will include how to use data to identify needs, ensure equitable access to resources, measure student progress, and examine the effectiveness of programs and practices. The content and activities will address the leaders’ role in identifying, utilizing and integrating various sources of data, facilitating data analysis activities with teachers and administrators, and using data in decision-making. Biography: During this highly interactive session, leaders will learn how to use data to meet the requirements of ESSA and optimize outcomes for students served by Title funds. Specific goals will include how to use data to identify needs, ensure equitable access to resources, measure student progress, and examine the effectiveness of programs and practices. The content and activities will address the leaders’ role in identifying, utilizing and integrating various sources of data, facilitating data analysis activities with teachers and administrators, and using data in decision-making. responsibilities of educational leaders charged with meeting the data requirements stipulated in ESSA. Presentation Description & Goals: Project Based Learning in the classroom is a useful way to bridge the learning gap and the digital divide found in NJ schools. 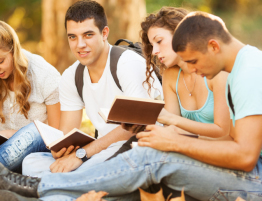 This type of instruction focuses on student growth and application of college readiness and career readiness skills while infusing state content standards. This active learning environment enables students to excel in the essential areas of problem-solving, skill mastery, individual work, collaborative work, group dynamics, communication, and presentation skills. Syracuse U. Project Advance/PCTI Coordinator & ADJ Prof.
Alignment with the mission of NJAFPA: Project Based Learning engages learners from all demographics, socioeconomics, and skill levels while encouraging critical thinking and problem solving that corresponds to the state standards, college readiness, and future career aspirations. Presentation Description & Goals: In this session the New jersey Center for Teaching and Learning will share tried and proven research based methods and strategies to improve Algebra I Readiness and Outcomes on High Stakes Assessments in kindergarten through 9th grades. Learn how to implement 8th grade Mathematical Physics and 9th grade Algebra-Based Physics and how using these science courses increases the amount of math instruction students receive and the real world applications to algebra they experience. Not only have these strategies proven effective in traditionally high-performing and low-performing districts alike, they are cost effective and manageable to implement! Alignment with the mission of NJAFPA: Success in Algebra furthers educational equity and excellence for all students. Presentation Description & Goals: Are you looking for effective strategies to close the achievement gap in math and science for your students? This session will share research-based strategies that will help begin to close that achievement gap. Our programs, Gizmos and Reflex, build conceptual understanding through inquiry based simulations that are fun and engaging for students! Teachers can supplement and enhance instruction with powerful interactive visualizations of science and mathematics concepts. Students can manipulate key variables, generate and test hypotheses, and engage in extensive “what-if” experimentation. All participants will receive a free trial to bring this powerful experience back to their school. Biography: Cwenty-one years ago, Laura Chervenak began her teaching career as a secondary biology teacher, designing and delivering science curriculum and professional development courses. Her love of learning about technology and a quality education for all students have driven her career forward to her current post where she serves as the Vice President of Professional Development for ExploreLearning, makers of Gizmos and Reflex. Laura’s professional credentials include a B.A. in Zoology, M.S. in Biological Anthropology, and previous National Board for Professional Teaching Standards certification in Science (Adolescence and Young Adulthood) as well as licensure in district administration. Bill Daggett, Ed.D Keynoter NJAFPA Spring Conference – reserve your space now!